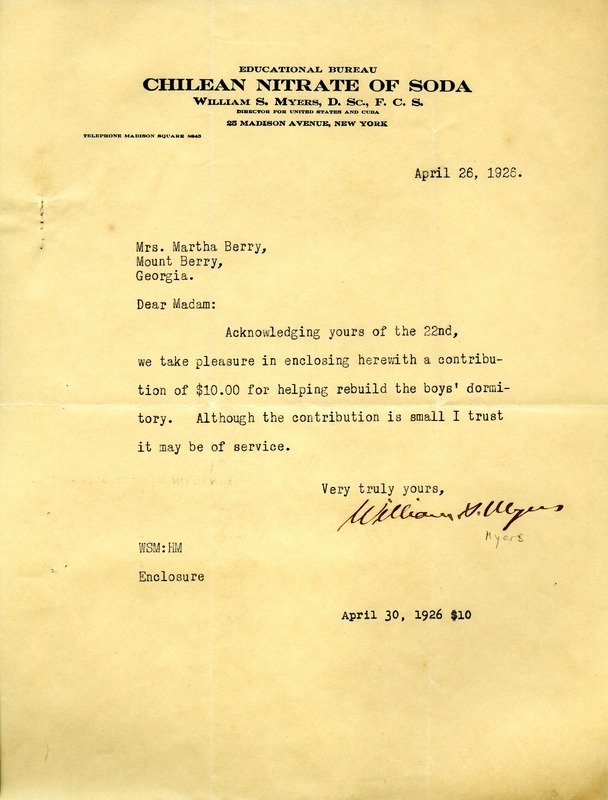 Letter to Martha Berry from William S. Myers acknowledging that he received her letter and are including a contribution of $10.00 to help rebuild the boys dormitory. They trust that although the donation is small that it may be of service. William S. Myers, “Letter to Martha Berry from William S. Myers.” Martha Berry Digital Archive. Eds. Schlitz, Stephanie A., Haley Fortune , et al. Mount Berry: Berry College, 2012. accessed April 20, 2019, https://mbda.berry.edu/items/show/2530.